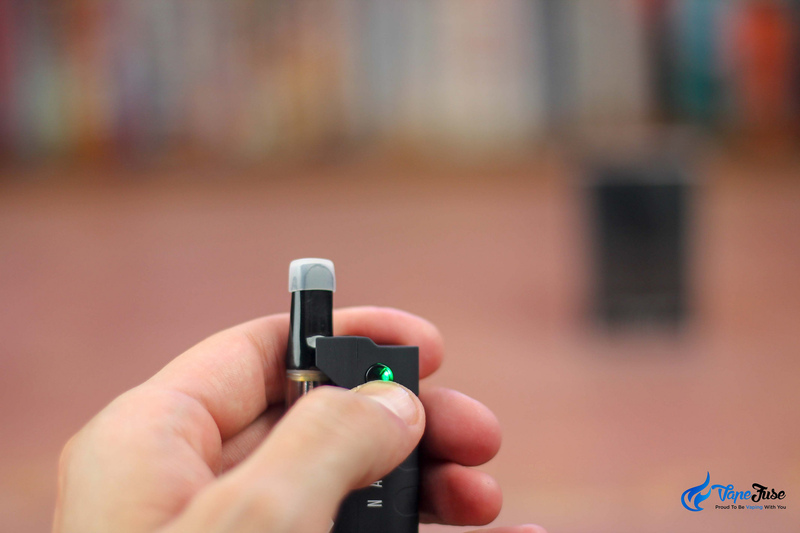 Portable vaporizers continue to shrink, and now we’ve got the Hippie Nano, the most compact vaporizer to ever hit the market! 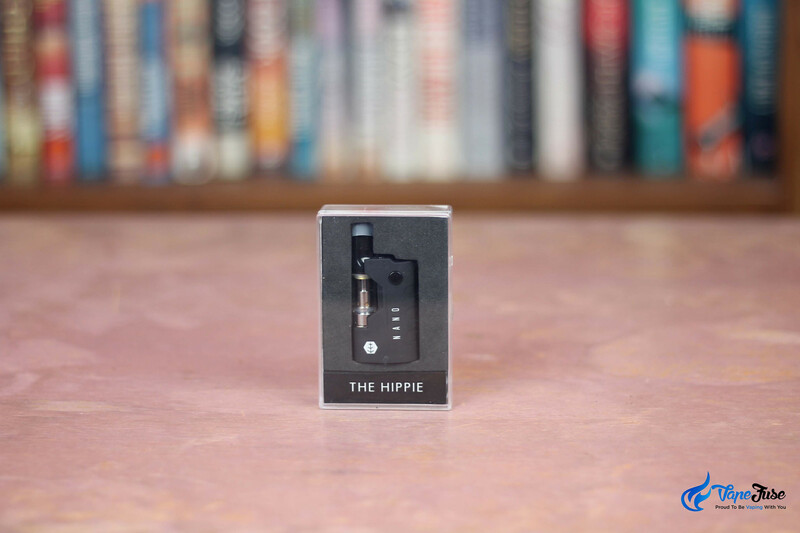 The Hippie Nano 510-Thread Cartridge Vaporizer comes from The Hippie Vaporizer crew over in California and was released earlier this year to mass-acclaim. While the kit itself is quite basic, it is ingeniously designed as the vape can be concealed stealthily in the palm of your hand and you’re able to toke the thing without anyone seeing what you’re up to. Check out the full video review of the Hippie Nano Cartridge Vape here. 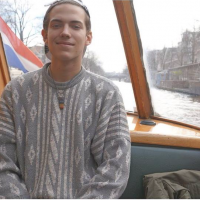 We recently copped the whole line-up of The Hippie Vaporizer liquid and concentrate vapes which you can check out here. These disposable dab pens and cartridges are really changing the game and subsequently changing the way most of us look at consuming weed. Not living in a place where you can access these 510-thread dab cartridges? Check out our tutorial on how to whip up your very own wax cartridges with Shatter Batter! 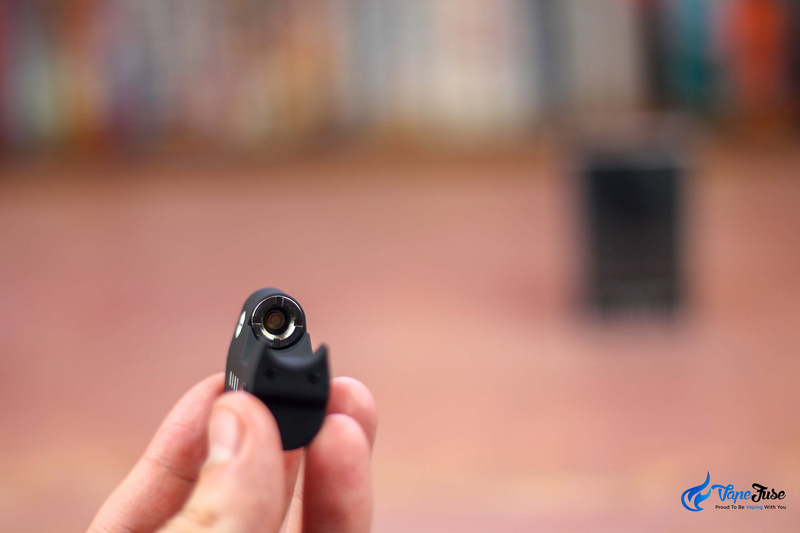 With the cartridge screwed in, the Hippie Nano’s maximum height is a mere 2.5-inches (6.5-cm). The C-Cell ceramic cartridge that comes included with the Nano is of a very high quality. Ceramic atomizers have taken over their cotton predecessors for a number of reasons. The C-Cell Cartridges last a lot longer than a traditional cotton atomizer and ceramic, of course, imparts no residual flavors. 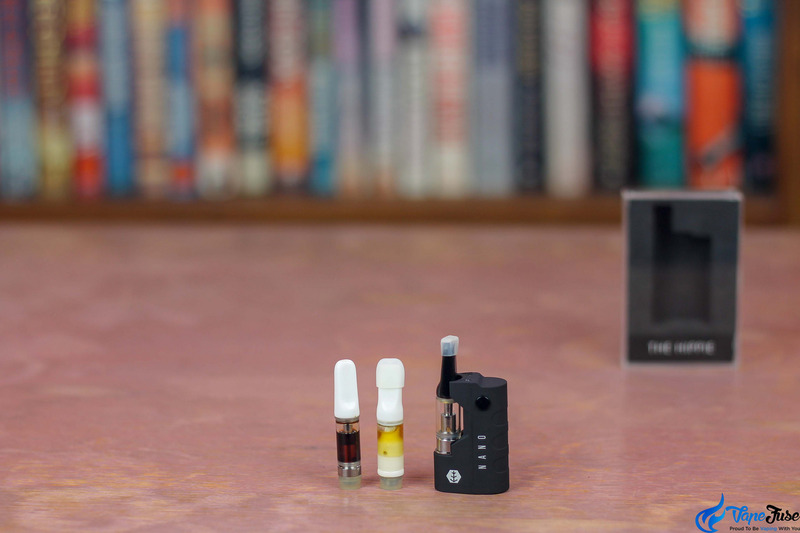 These C-Cell carts can be filled with distillate or liquefied concentrate and used to enjoy your favorite concentrate varieties discreetly on-the-go. Most wax cartridges that you pick up from dispensaries are going to be equipped with a 510-thread that can screw directly into a dab pen or box-mod vaporizer. 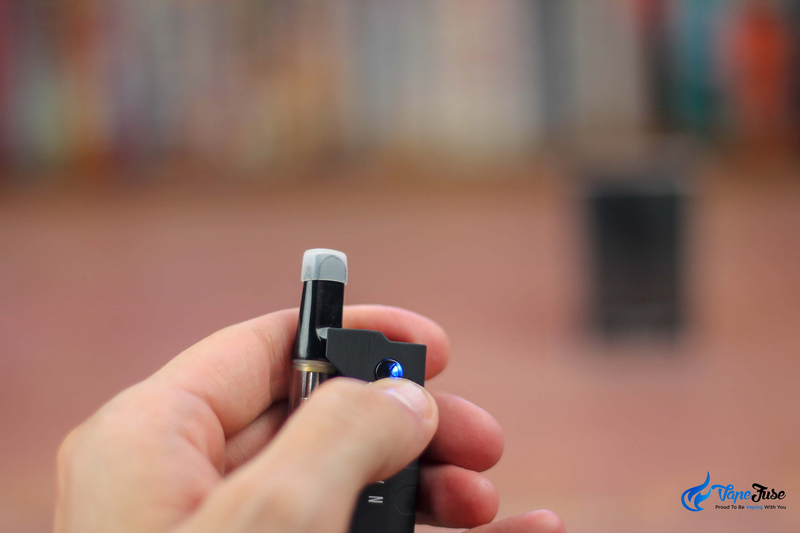 This thread system is easily the most common, however the JUUL-pod style atomizers that came equipped with the Hippie Air vape are also gaining traction. As long as you keep your atomizers clean you won’t ever have a hassle with a vape like this. Inspecting the bottom of your 510-thread cartridge before you screw it in is always a good move in case pressure has forced some oil to escape. 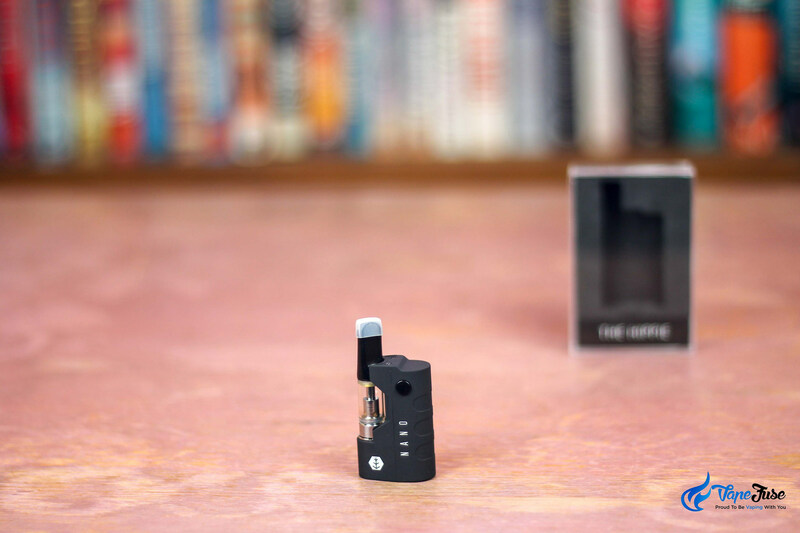 The Hippy Nano comes equipped with a Micro-USB charging cable hidden underneath a small flap in the carton, and this is literally the only accessory you need to take your dab game on the road. 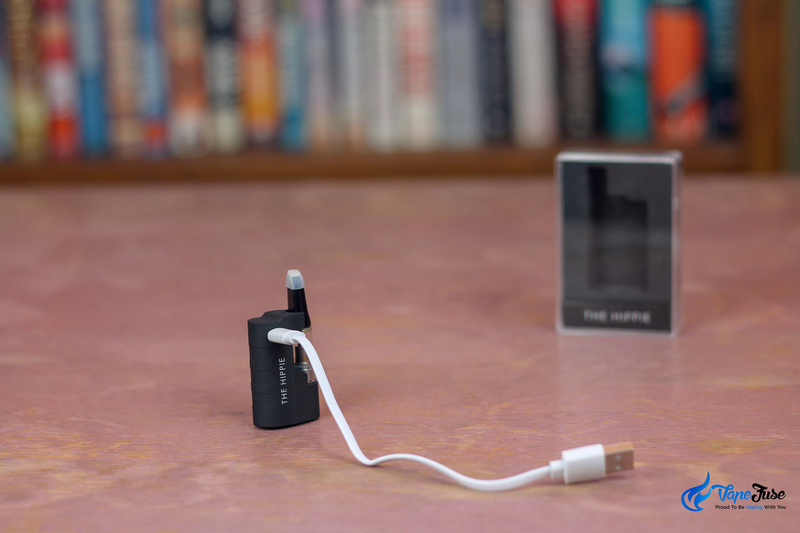 Included with most good vaporizers these days, the Micro-USB charging cable is an awesome way to keep your vape locked and loaded as it has 0 boundaries! Any power-bank, airplane USB port, or car charger becomes your power station, the charging world is your oyster. You can punch through a cartridge easily off a single charge, but make sure to give your Hippy Nano a BIG four to five hour charge right off the bat. 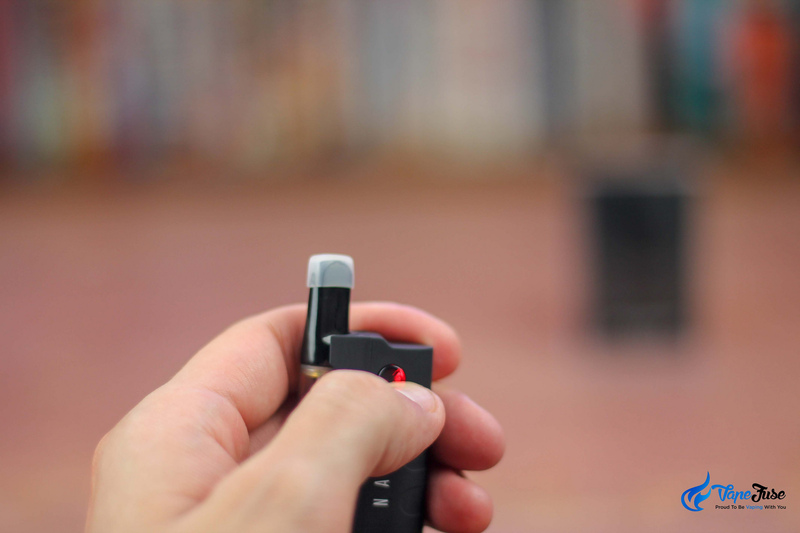 To turn your Hippy Nano vape on you just have to click the singular function button three times and wait for the light to flick on and flash at you. Three clicks of the function button will allow you to adjust the vapes voltage between 3.4 V (Green), 3.7 V (Blue) and 4.0 V (Red). The thicker the oil in your cartridge, the more voltage you’ll require to atomize the dabs! Like most good 510-thread vapes these days, the Hippy Nano also has an included preheat function that will heat your cartridge to the optimum puff-temp when you quickly tap the button twice. 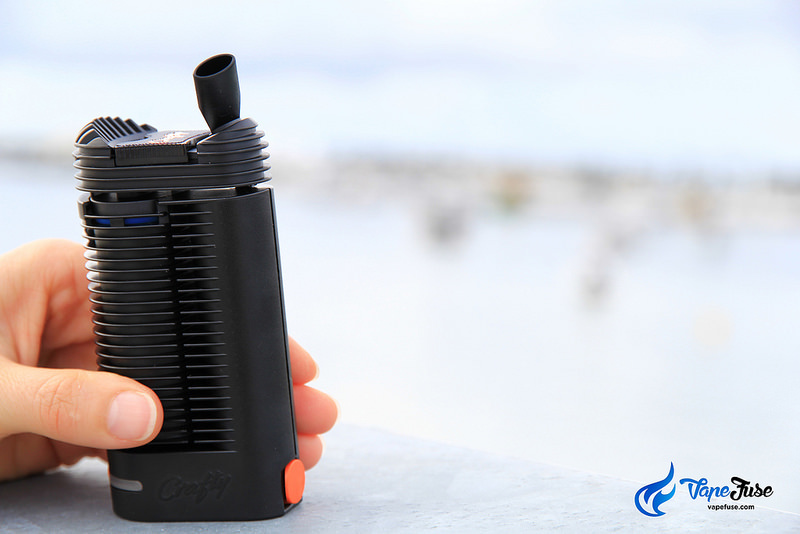 If you’re looking for a discreet concetrate vape to help atomize your liquefied dabs the Hippy Nano is an awesome choice as it offers discretion, great battery life, and high-powered hits. Check out the rest of our concentrates reviews here and keep an eye out for the Hippy Nano in the VapeFuse Store!